LOL that's my friend's instagram. I guess this is a new thing!! I didn't know HM's had completers either! But... these are completers for the 2015 hidden mickey wave B sets. I love them, but I don't understand... that was 3 years ago. Was delivery 3 years late or did Disney just lose them? I am so confused. But... I will need them all. 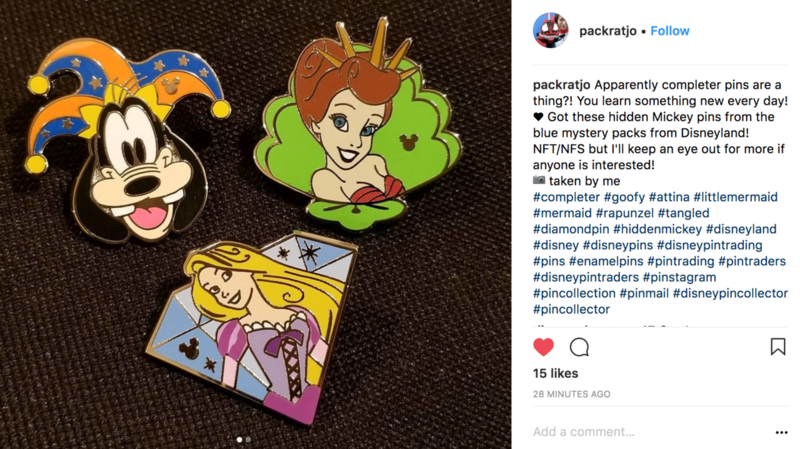 So extrapolating from the picture above... there would be a ride diamond pin (like the Rapunzel, but with a ride icon) and on my goodness... another tea cup. Yikes! Historically HMs had completer pins, but that seemed to have stopped before 2014 (when I started collecting). This is the first released of HM completers since I started pin trading. Yeah, hidden mickeys had PWP completers for several years. TinyTink and TheMickeyMouseRules like this. Yes, that's the Cheshire one I've been waiting two years for! Yes! I wondered why we never saw Hathi Jr. in the park. I looked all over for him. I know! I have been waiting for it also. Every time I would go to the Parks I would look for it. I just hope it comes out soon. Are the completer pins part of a PWP program as in the past or are they distributed a different way? I was told last night by those who would know that mid-March is the new expected release timeframe. Are we close enough to mid March yet? I think they're usually packaged two to a bag inside of a cardboard sleeve so you can't feel what the pins are. It's been like that for at least 10 years. Old HMs (from years past) are sold in the blind bag. The color of the blind bag would tell you which year's release it was. Before, the color of the bag would tell you which month's release it was, back when they released HMs monthly and it was a race around the park to get them. Ah, those were the days. TinyTink and TammyH like this. It was. That was the time (2007/08) when I started pin trading. Started with hidden mickeys and I would meet pin traders at the barrels who wanted that month's hidden mickeys but didn't want to run around the park. 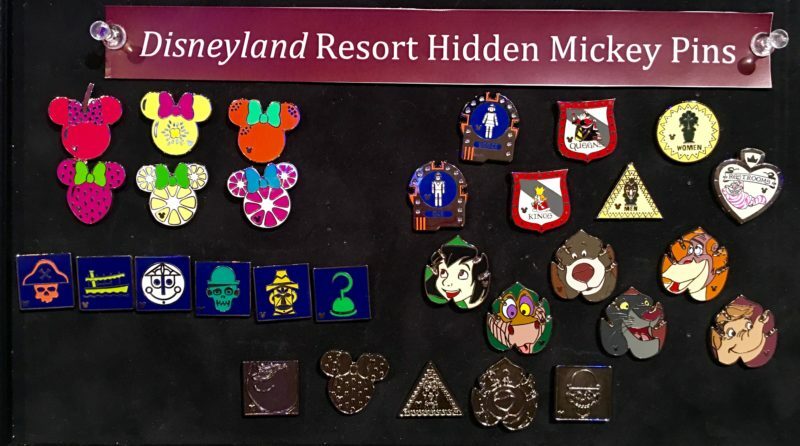 So, sis & I would go around and try to get the new hidden mickeys (one set for her, one set for me to trade). And we would trade for rack pins. So... I think we are almost beyond what would reasonably be called 'mid-March'... Has anyone see any yet? Not in DLR as of Sunday.